SAN JOSE, Calif. - March 15, 2018 - PRLog -- President Trump identifying MS-13 as monsters and animals rallies more than a political fervor. The fear-impacted descriptions socially construes bias and panic. When the rhetoric subsides to organic levels it streams partisanship strategies. But like most streams there are run-offs that wash debris and contaminants in storm drains that eventually seep into the bay. Each day there are streams of boots on the ground who walk out their doors ready to serve those who have been labeled "Bad Hombres." We know them as social workers, case managers, street outreach, community advocates, drug substance specialists, educators, therapists, law-enforcement, and faith community. Somehow they see beyond the polarization, navigate through increasing hysteria and employ prevention and intervention care. They zoom in on the beauty of human qualities while contending judgement from those who simply critique. As speeches and sound bites single out a group of gang members to stir fear ...it's vital to bring attention to the individuals who are rolling up their sleeves every day to make "America Great" by upholding the notion that every life matters and has potential to live with purpose. Like most people walking on our planet ...gang members want the good things in life. Yet 99% have been deprived from life skills, academic mentoring, positive reinforcement, and a healthy support system. To make sense of this constant assault, they develop a coping mechanism to combat the constant feelings of rejection that results in lack of self-worth and distrust in people...especially authority figures. This explains why many develop a tough and hard disposition simply to keep pain and rejection at-bay. Beneath the layers of trauma, there is a real whole incredible person looking for someone to believe in their goodness. Growing up in East Side San Jose, California, in a single parent home, on welfare, surrounded by drugs and gangs. He was the first Hispanic to serve as an NFL Team Chaplain. He served on the staff of the Oakland Raiders. 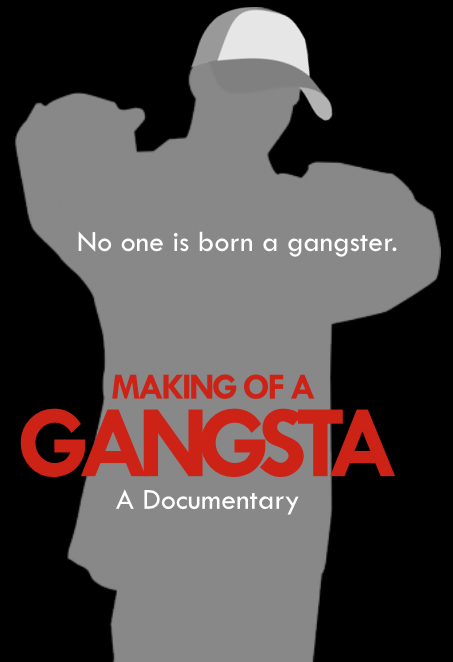 Dr. Ybarra recently produced "Making of a Gangsta" an Award Winning feature-length documentary that reveals compelling stories of young men and women who entered the gangsta lifestyle. With the success of "Making of a Gangsta" film Dr. Ybarra created workshops to build capacity for understanding gang ideology and gang-related activities and current trends. Log on to http://www.thetenaciousgroup.com or download "Making of a Gangsta mobile app" for information on upcoming workshops in Los Angeles, CA on March 27,2018 and in San Jose, CA on April 24, 2018.